Finding out risk factors that can impact a person’s chances of developing ADHD or making their symptoms worse is important. In a recent study, it was found that when children receive exposure to secondhand smoke, they have a much higher chance of developing ADHD. In addition, they are also more likely to be experiencing other problems such as headaches and stuttering in comparison with children who don’t receive this exposure. Concerns now are around how we can best protect children from the dangers of secondhand smoke. A survey in the United States investigated tobacco smoke exposure in children and adolescents by asking questions and also through the measurement of cotinine levels in their blood. Cotinine levels are a way to measure exposure to tobacco smoke in children. They study took into account social and economic issues as well as prenatal exposure, but still found that the children who were exposed to secondhand smoke had an approximately double rate of ADHD. They also had a higher rate of headaches and stuttering. Teenagers in particular showed a much higher rate of headaches. One fear is that when children are exposed to secondhand smoke, this could mean a severe effect on their learning and education. Their overall health and daily functioning could similarly be impacted with problems to these critical areas of development. Physical and mental challenges can ultimately result in a child having a major disadvantage to their cognition and social progress as they grow up. Further issues relating to childhood exposure to secondhand smoke include a higher risk of sudden infant death syndrome. Increased risks of respiratory and lung conditions have also been found in previous studies, along with a higher likelihood of being diagnosed with asthma. Those who have asthma then suffer from more severe attacks if they are in an environment that exposes them to secondhand smoke. Even more risks involve an increase in the number of ear infections and a higher risk of cancer and cardiovascular disease over a person’s lifetime. As expected, the risks would be significantly higher in countries where smoking is more prevalent. The global effects are also a concern as smoking rates over the last fifty years have been consistently falling in developed countries but climbing in less developed nations. It also means that these countries already facing economic challenges will similarly face the burden of higher ADHD rates in the population. Another issue is that developing nations are less likely to have smoking regulations that protect young people, putting them at an even higher risk of developing ADHD. 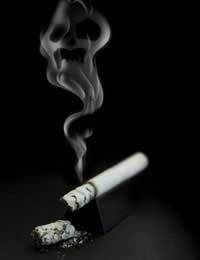 The study shows yet again that smoking is not just harmful to the person smoking, but also to the people around them. Children and teenagers are at a particularly high risk and deserve a smoke-free environment. It is hoped that this study helps to support new laws that protect young people from the dangers of secondhand smoke, particularly given the risk of ADHD.